Since ABC canceled its Roseanne reboot in May after titular star Roseanne Barr tweeted racist comments at former Obama advisor Valerie Jarrett, the network has decided to move forward in a new way. Starting this October, a spinoff series, The Conners will hit the air and showcase the antics of Barr's TV family — except she will noticeably be scrubbed from the show. As to how she's being written out of their lives, costar John Goodman recently opened up to The Sunday Times about the key plot point. In doing so, he may have just spoiled what could have been a major reveal. “It’s an unknown," Goodman said when asked about how The Conners will specifically deal with Roseanne Conner suddenly not being around after spending more than two decades as a TV fixture. Goodman went on to drop this tantalizing potential spoiler: "I guess he’ll be mopey and sad because his wife’s dead.” Say what? 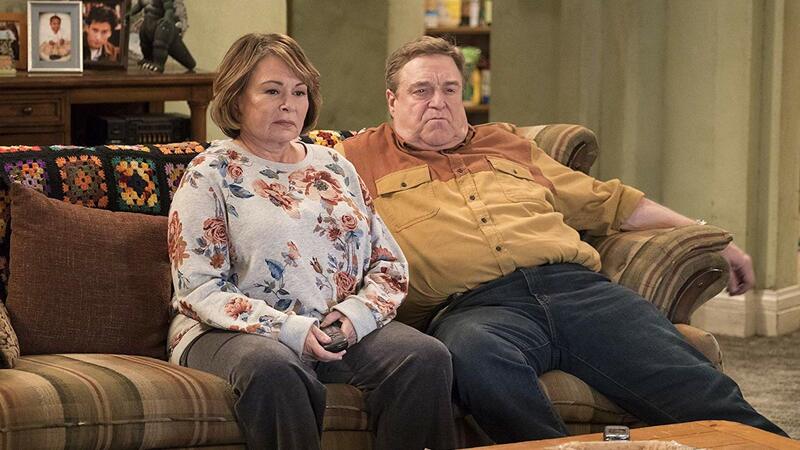 Although he and Barr hit it off when they met at their first audition for the original run of Roseanne back in the late 1980s, he said they haven't been in touch since the reboot was canceled. However, he did reach out when she stepped out of the way for ABC to proceed with the spinoff series, The Conners. According to Entertainment Tonight, when Barr went on Fox News' Hannity in July, she said she chose not to fight the network or "try to win": "I thought it was part of the — you know, what was put before me to do. What God puts before me I do," she said. "I just do what's in front of me." Goodman also said that the reason Roseanne was so successful — both the original and the reboot — was because it showed people "scraping by." Now that Barr is no longer on the series, the Conners will be forced to grapple with yet another aspect of life that makes it hard to hold on when things are tough: grief. We don't know for sure that Barr's character dies; there's no mention of it in the plot synopsis provided by ET, but given how TV shows typically deal with abrupt departures in their casts, we think Goodman may be right about what's to come.